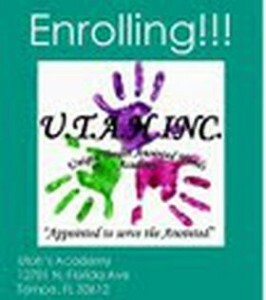 UTAH Academy is now accepting Title 20 School Readiness Certificates and VPK Vouchers for the 2014-2015 school year. We also offer extended care — prices vary. Academy hours are 6am-6pm Monday – Friday.